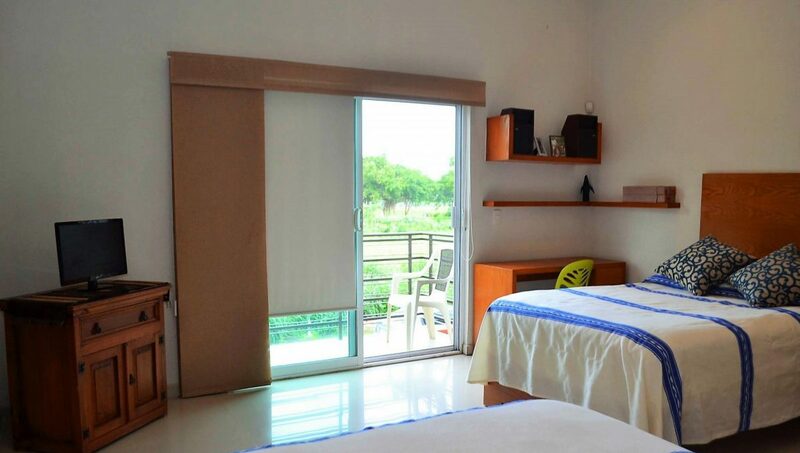 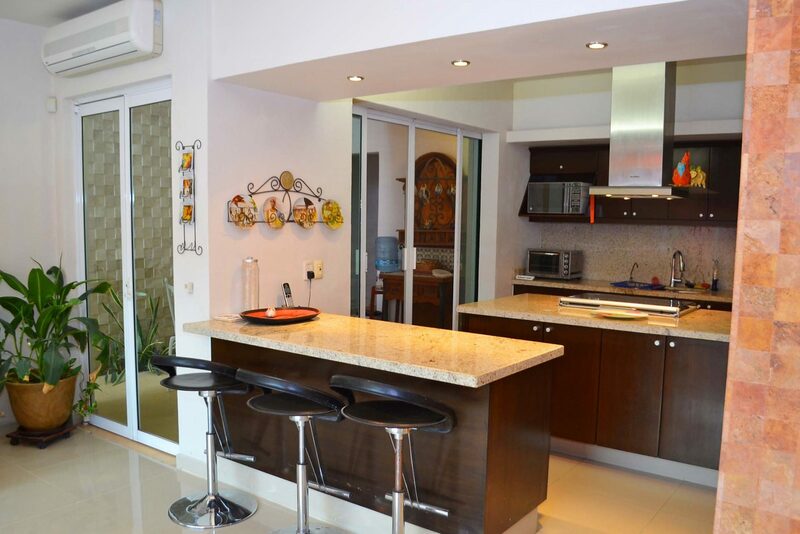 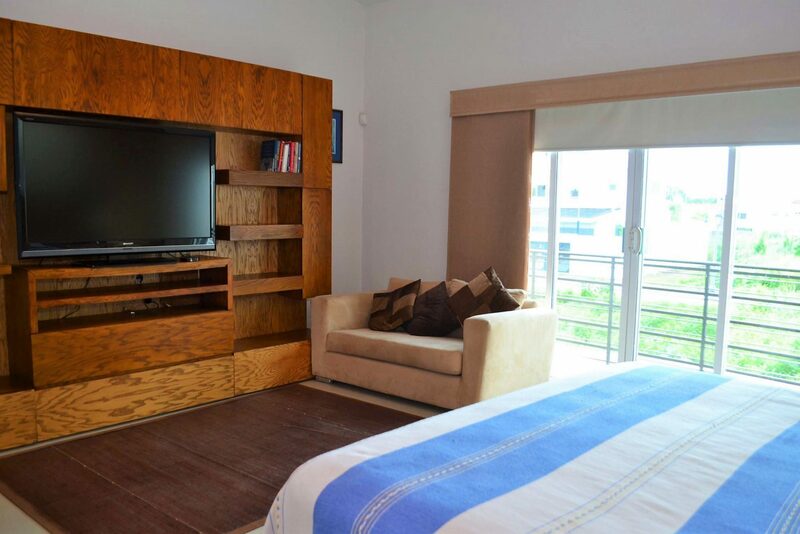 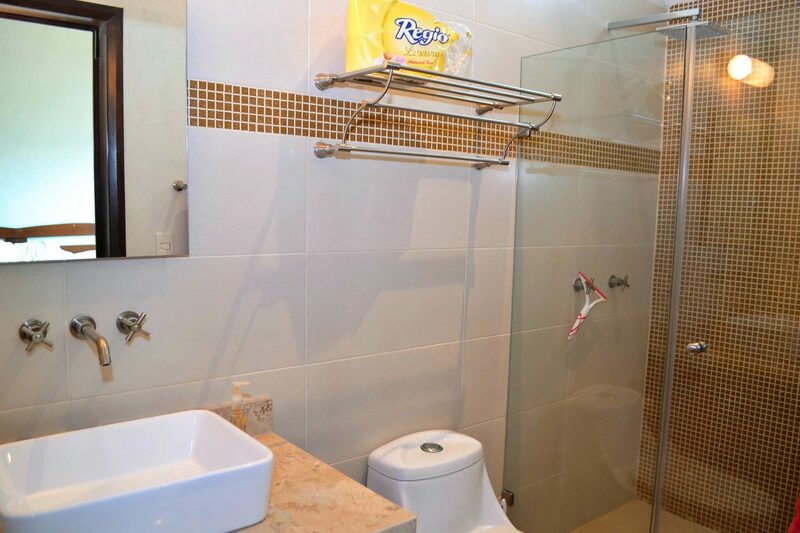 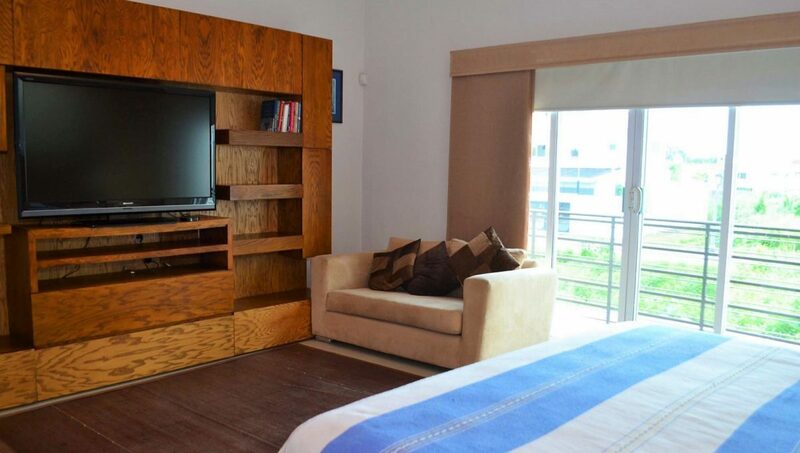 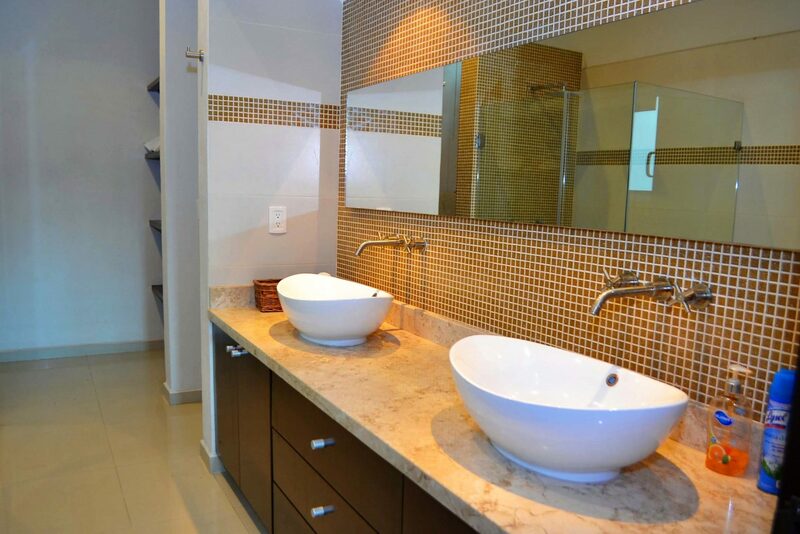 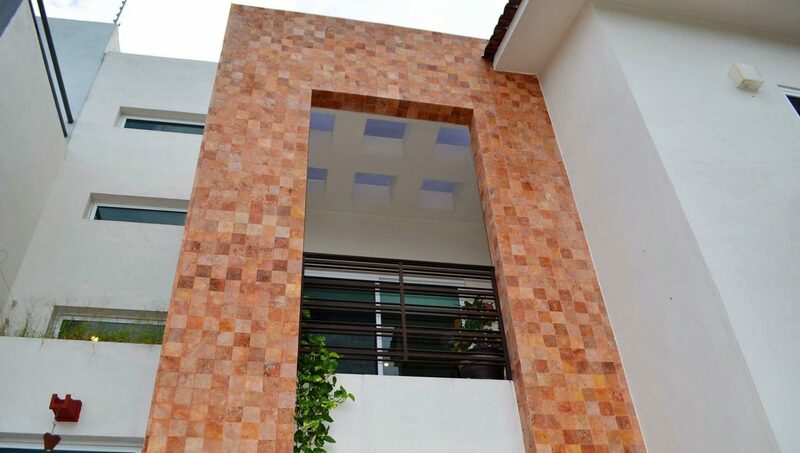 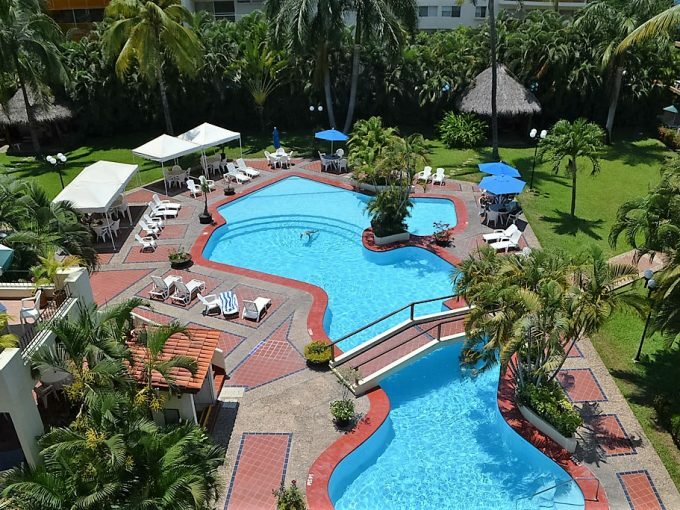 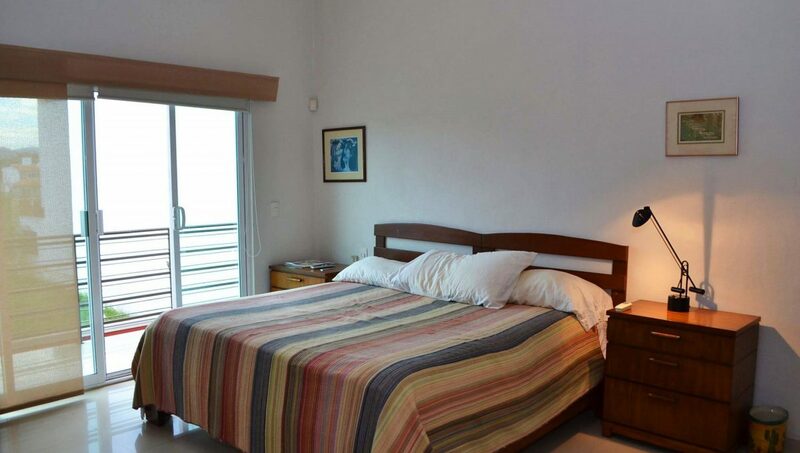 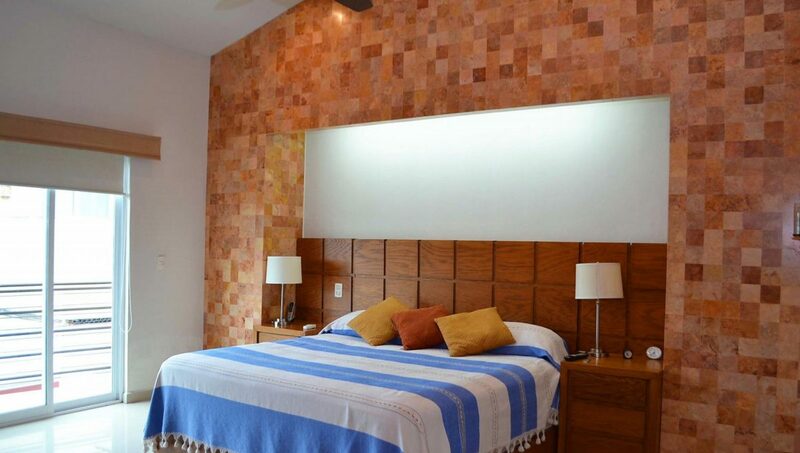 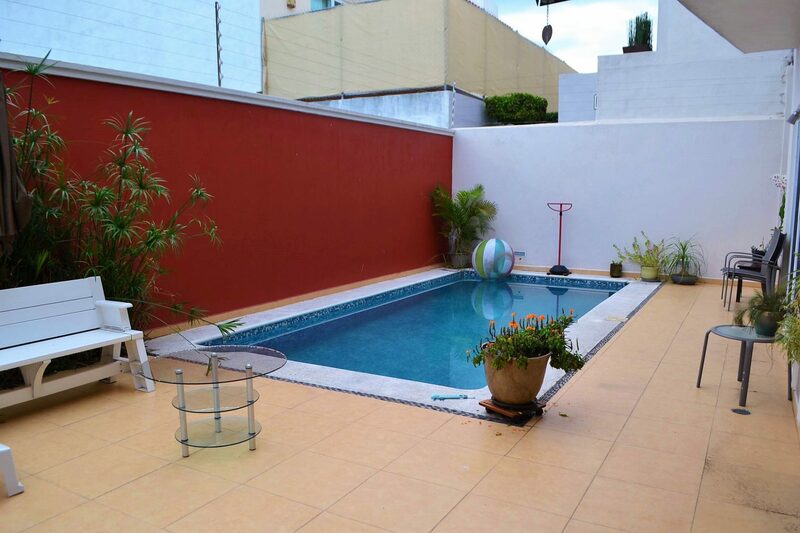 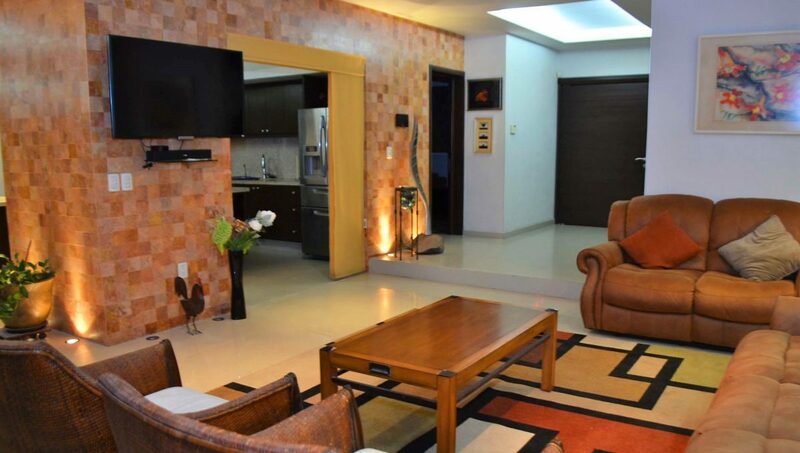 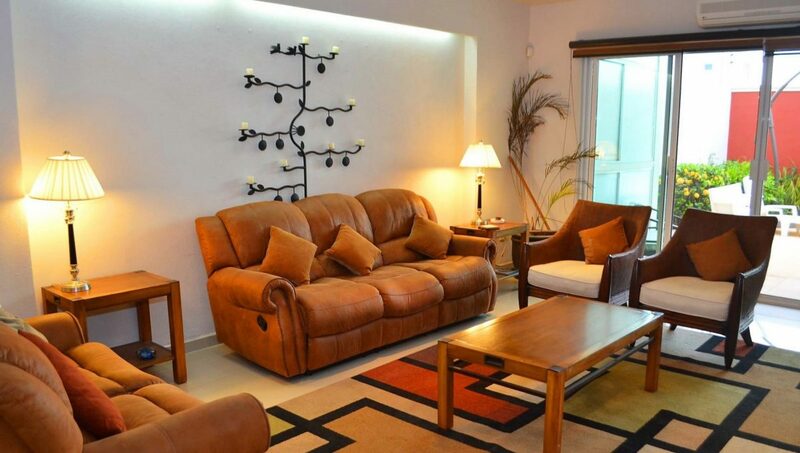 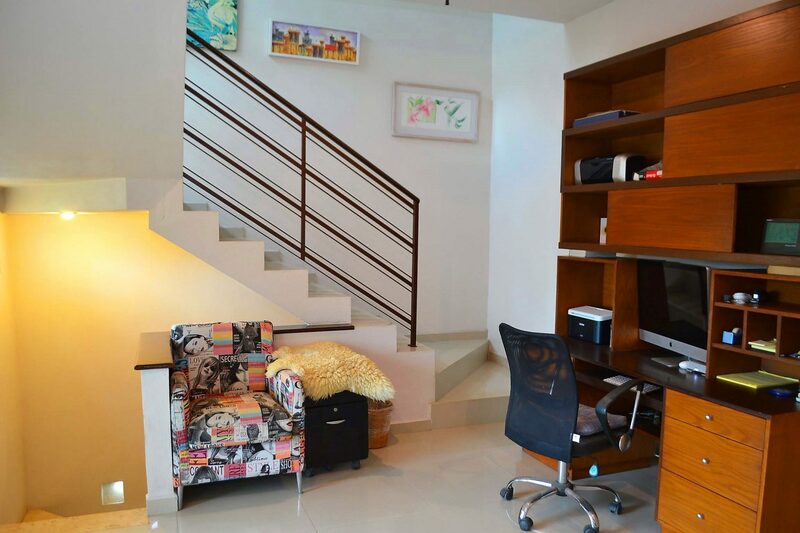 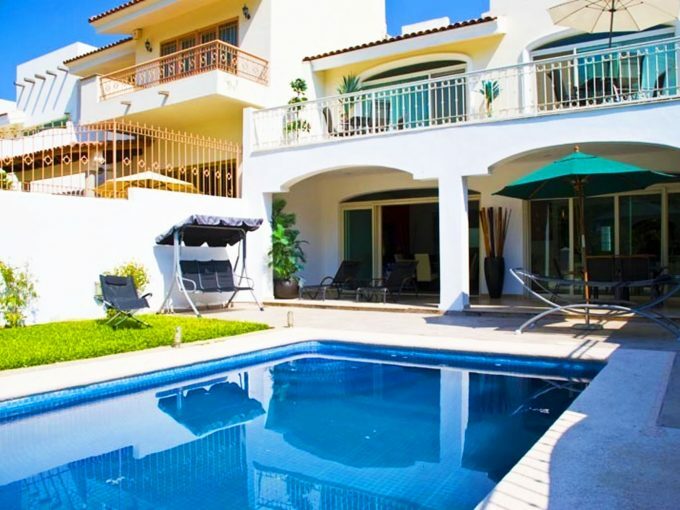 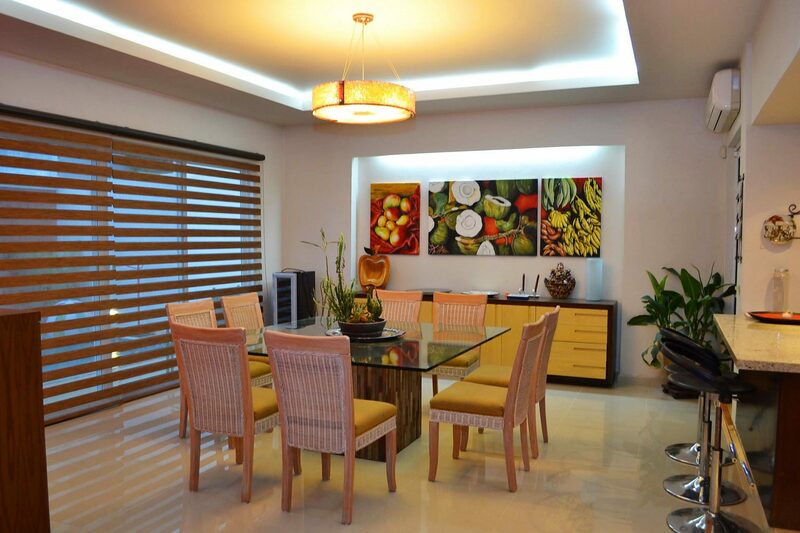 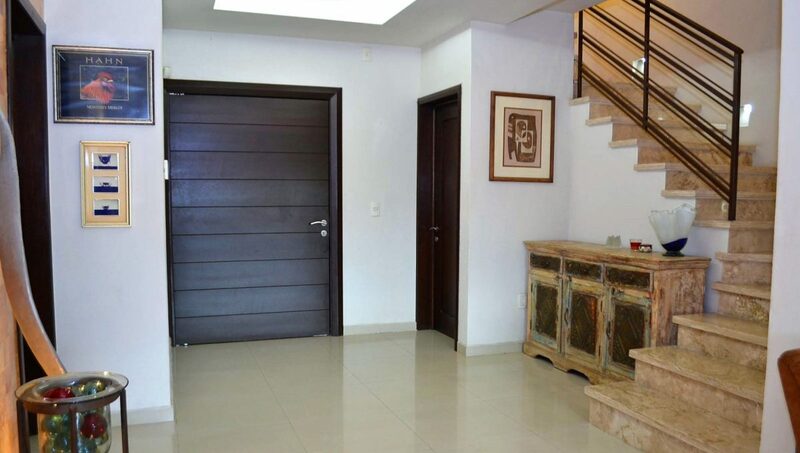 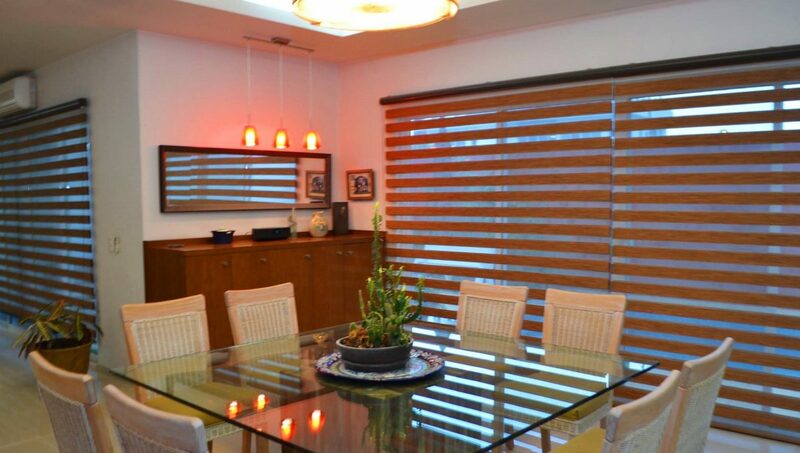 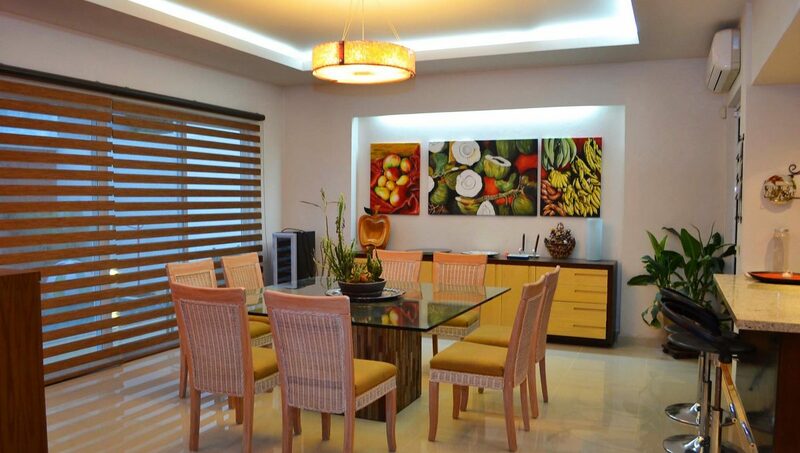 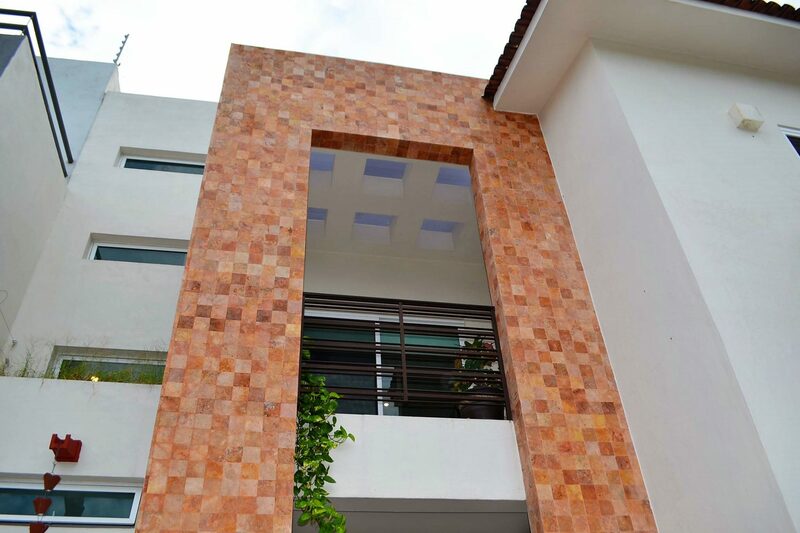 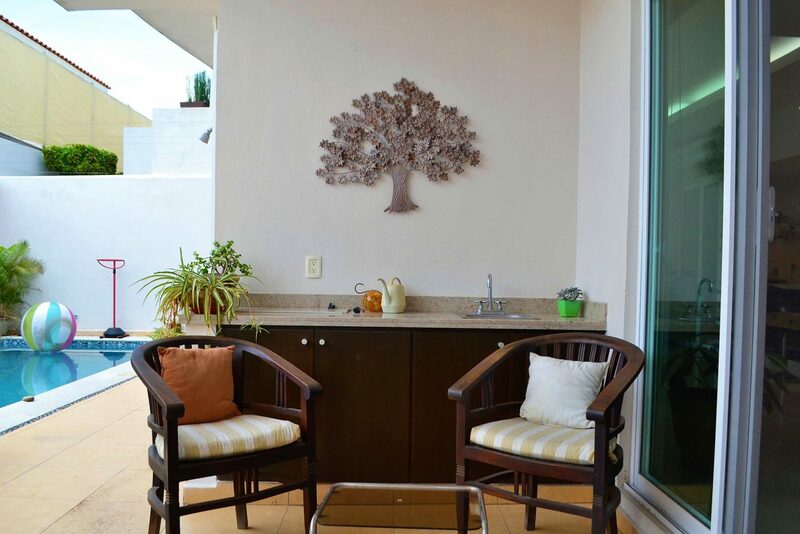 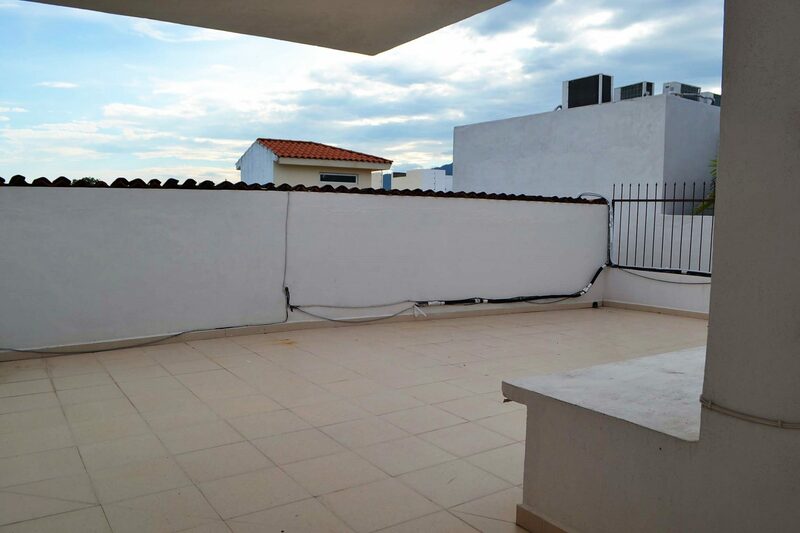 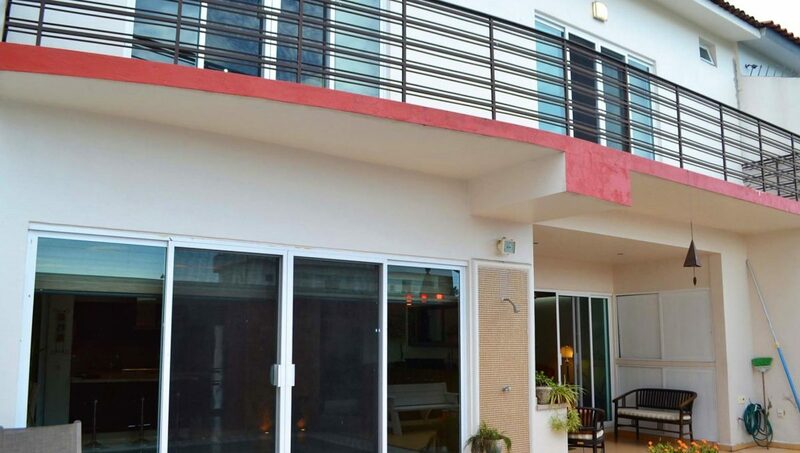 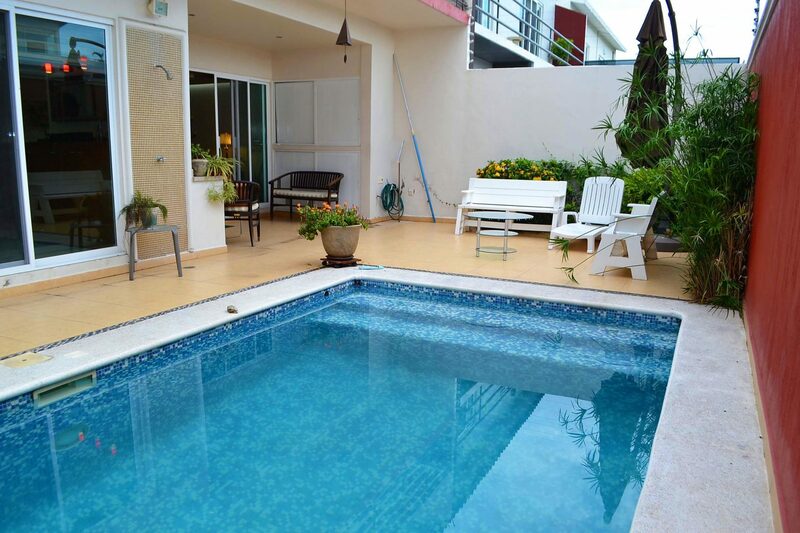 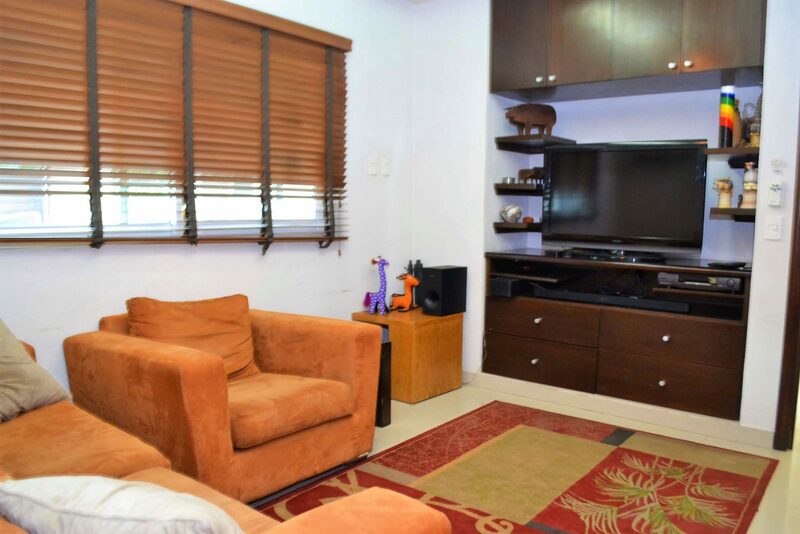 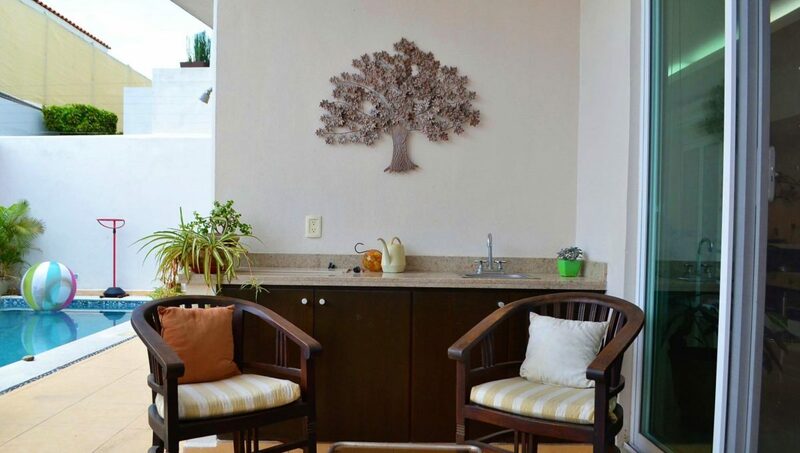 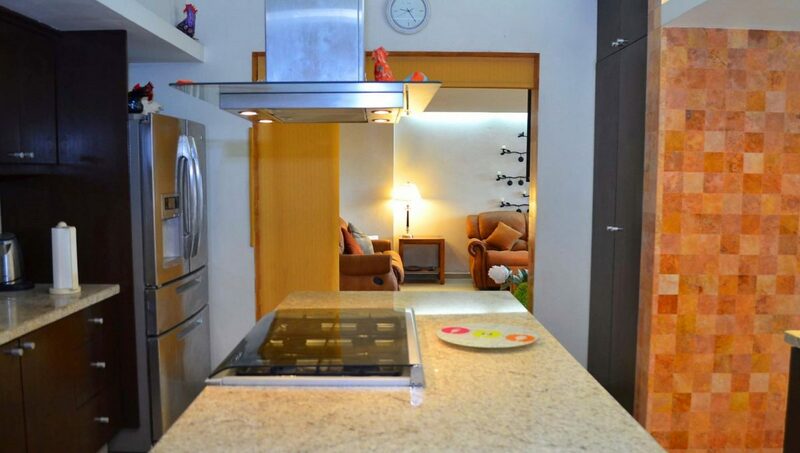 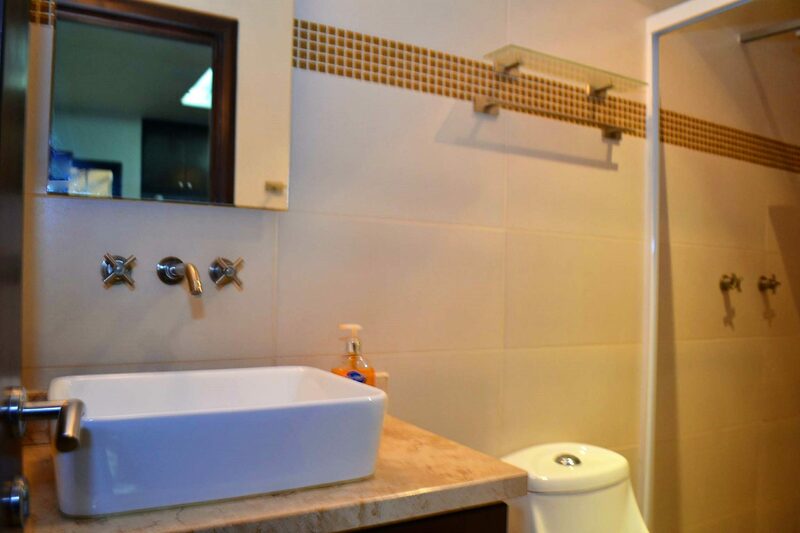 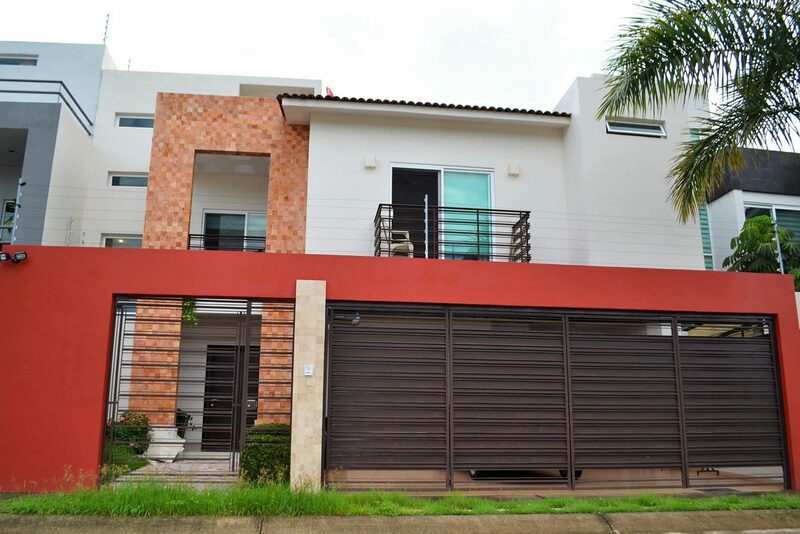 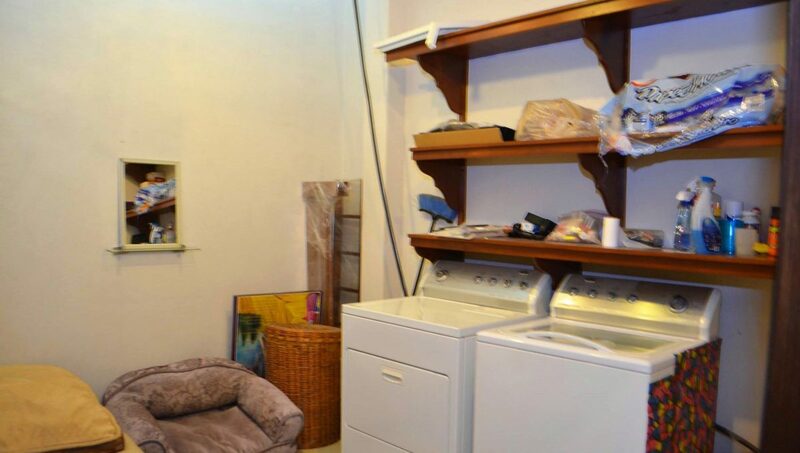 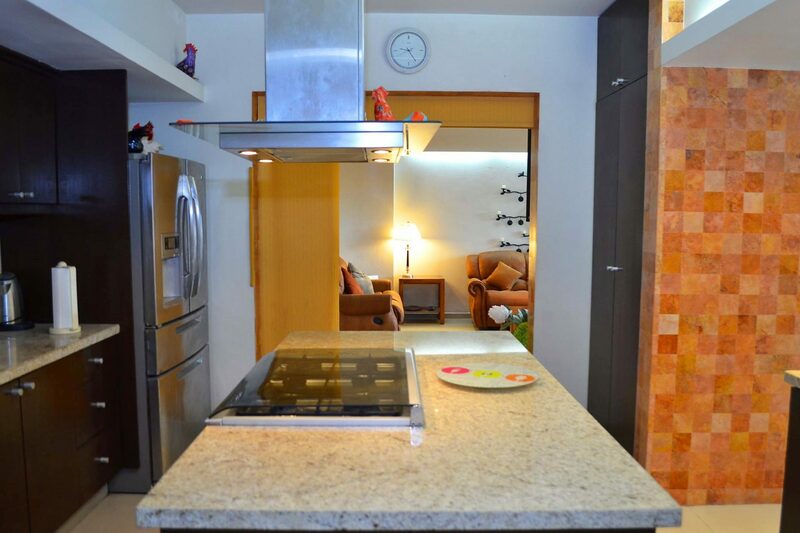 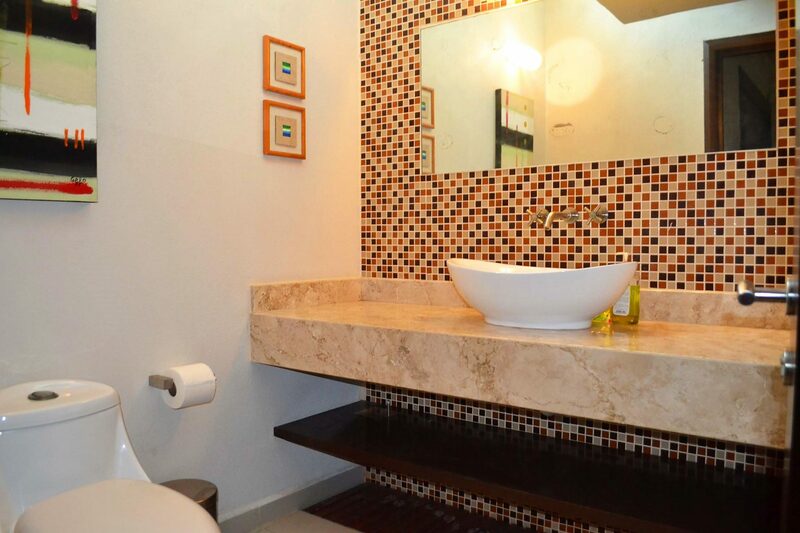 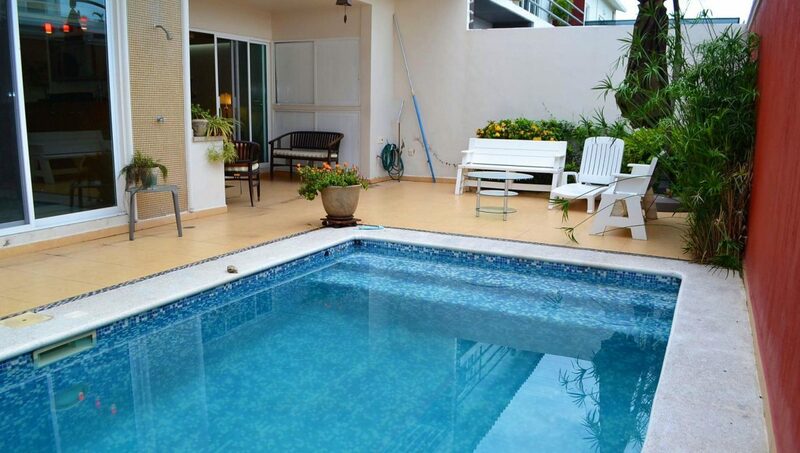 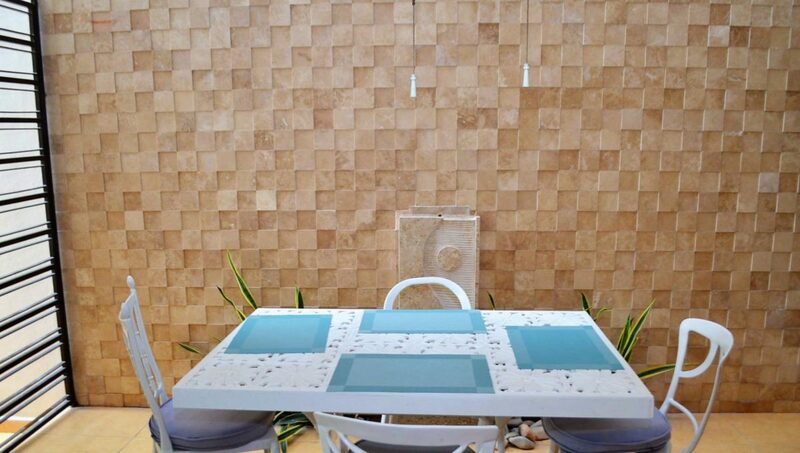 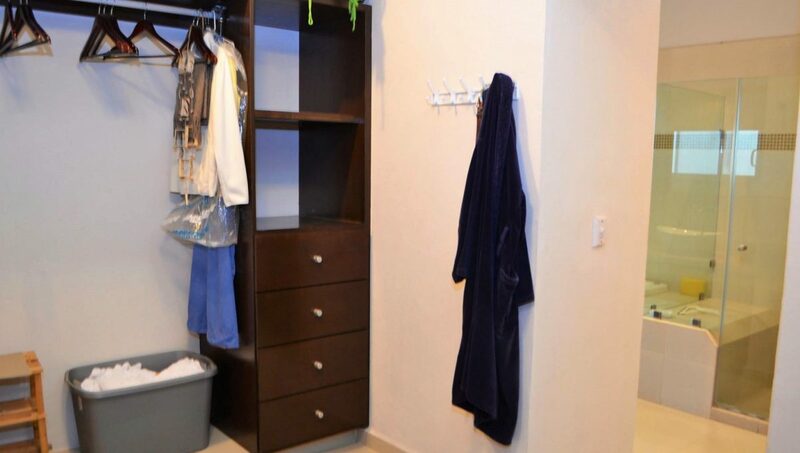 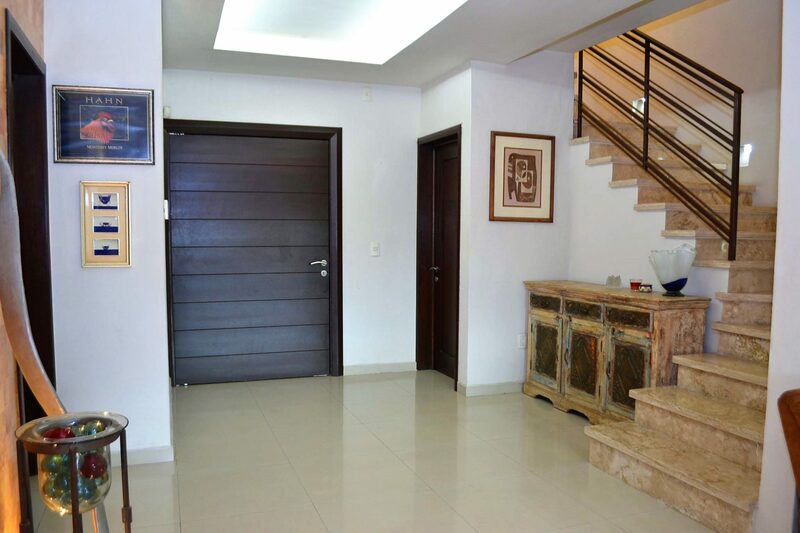 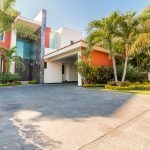 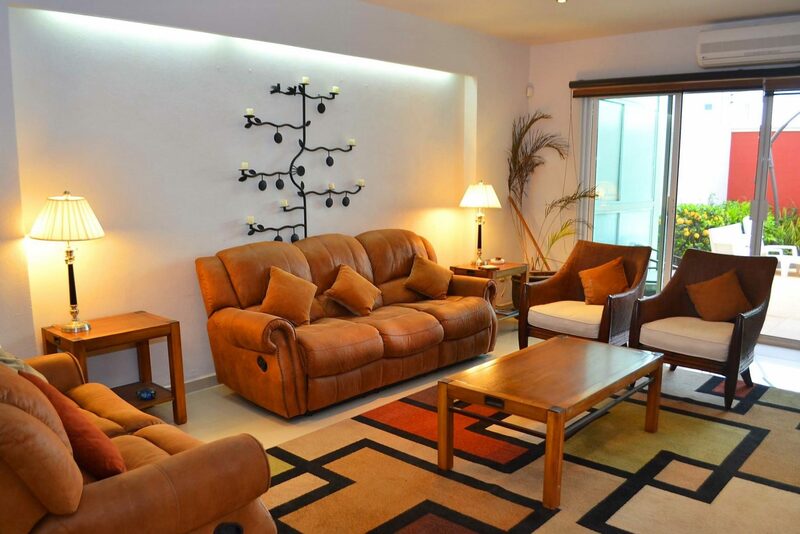 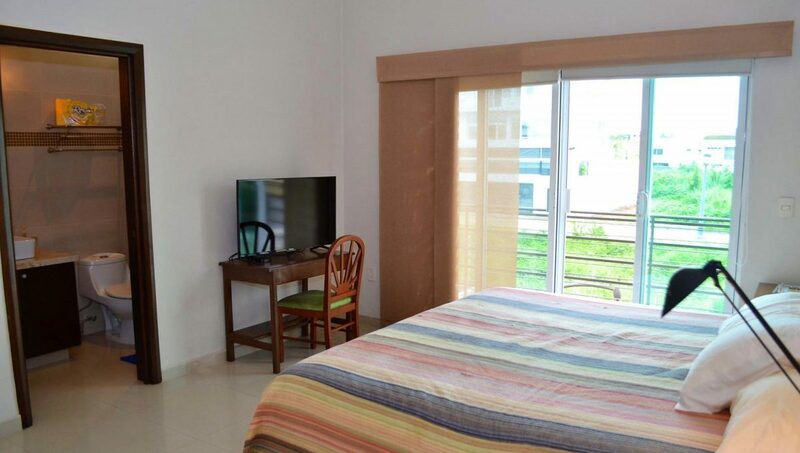 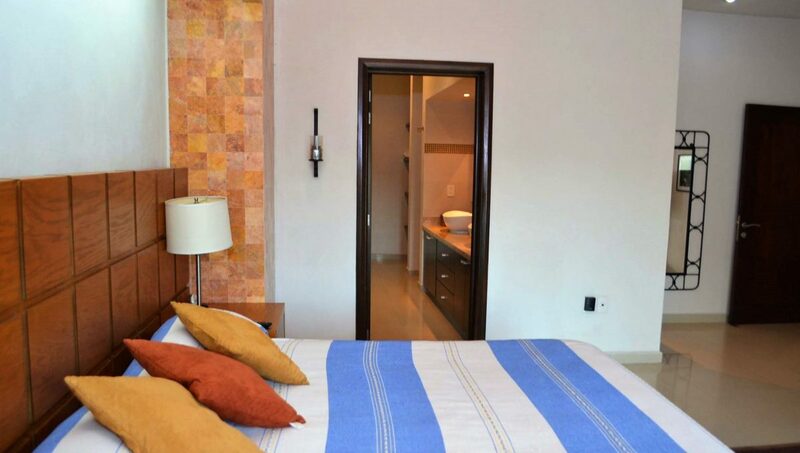 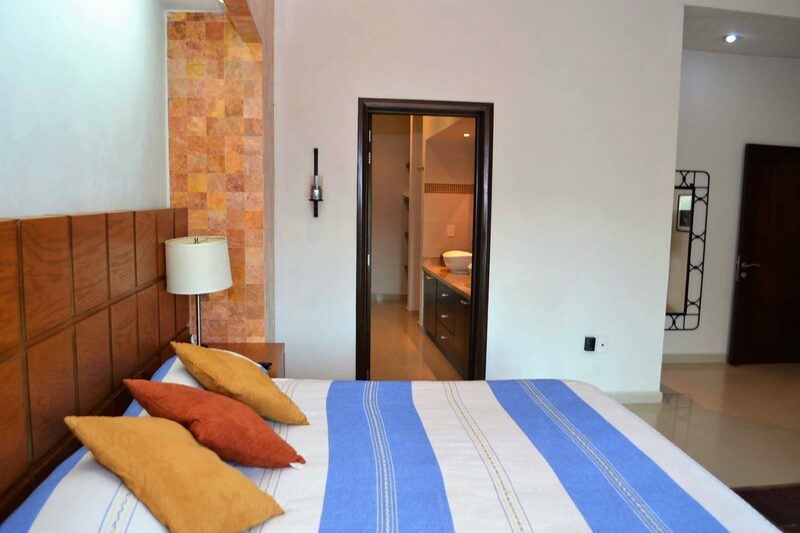 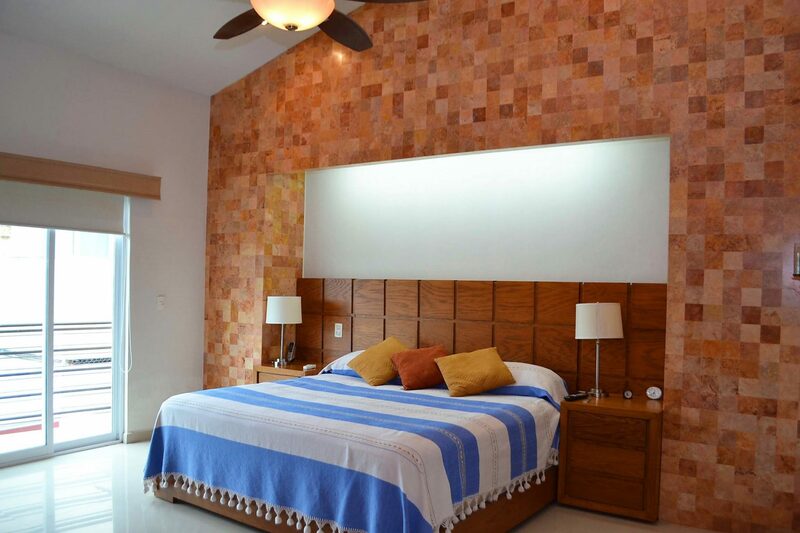 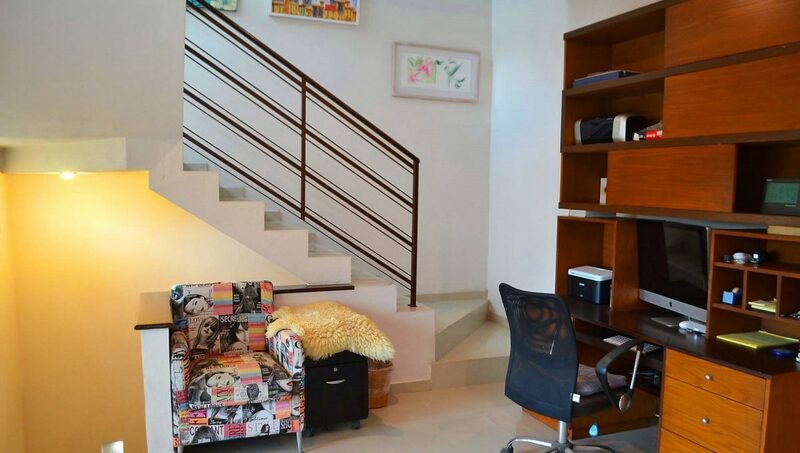 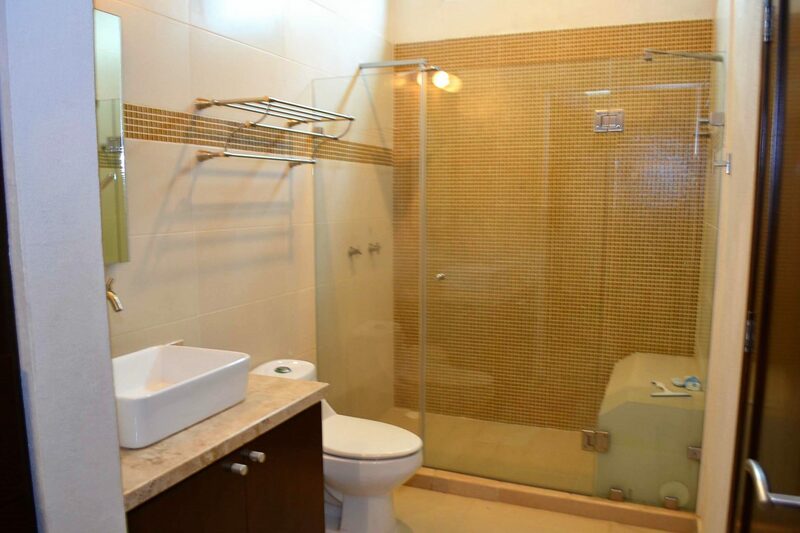 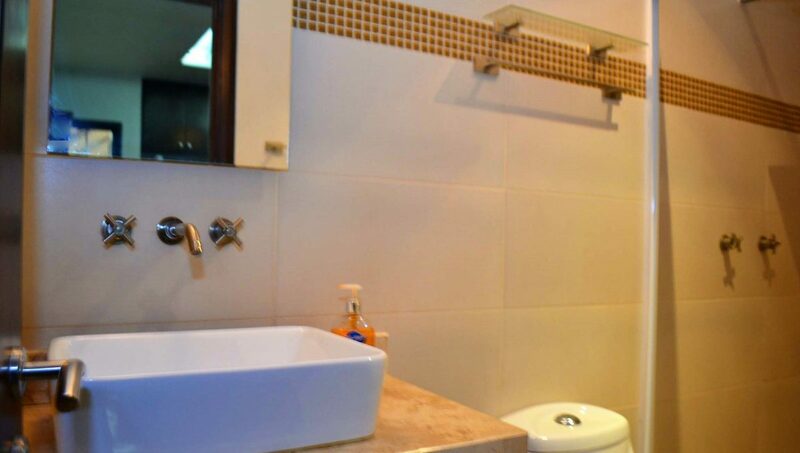 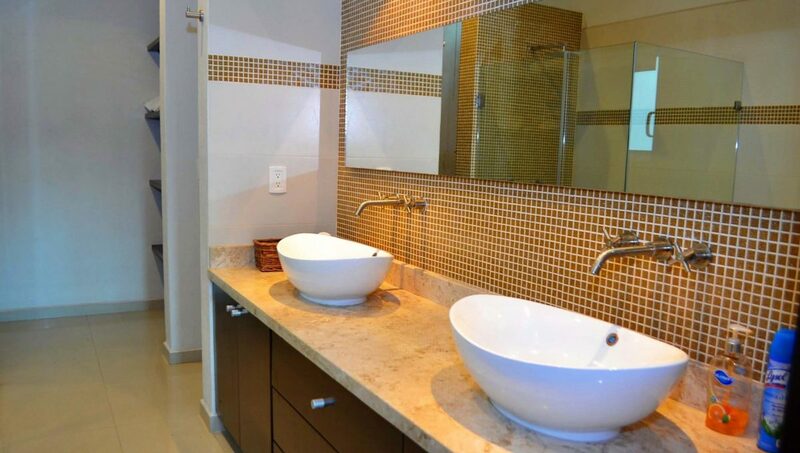 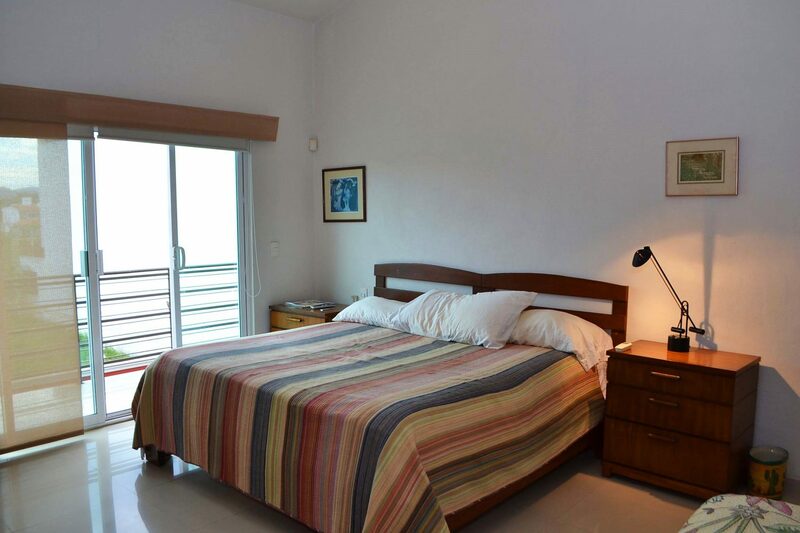 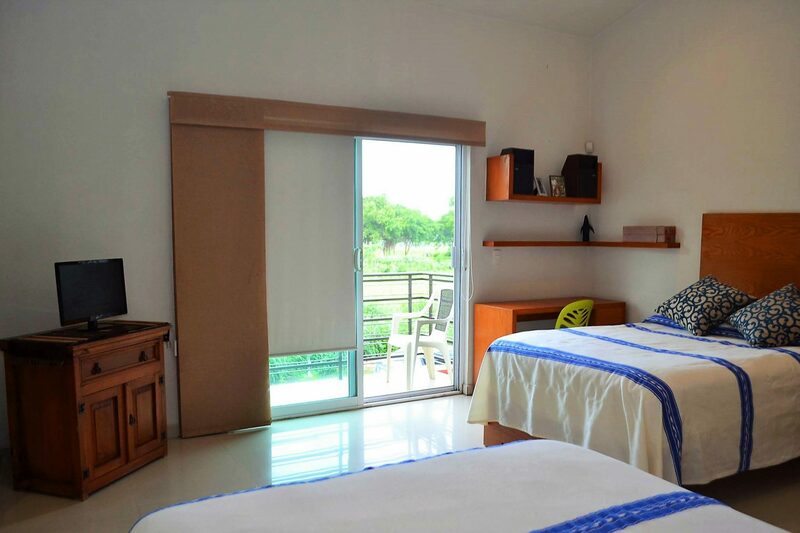 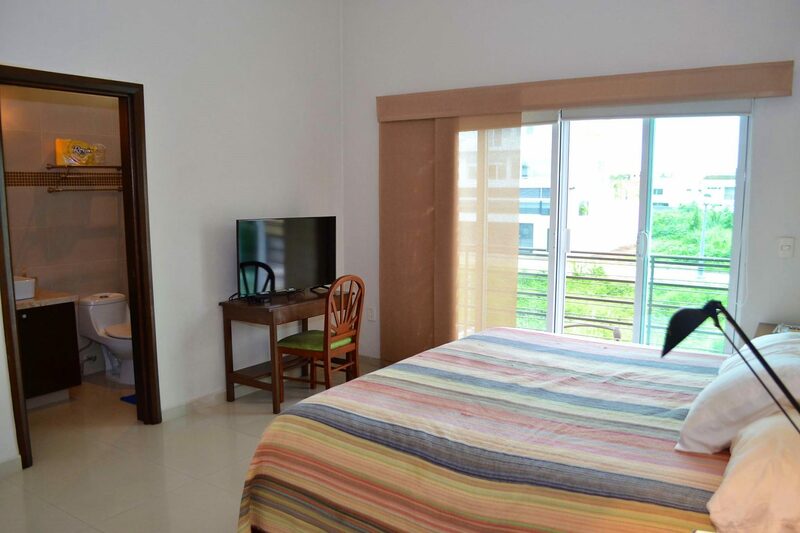 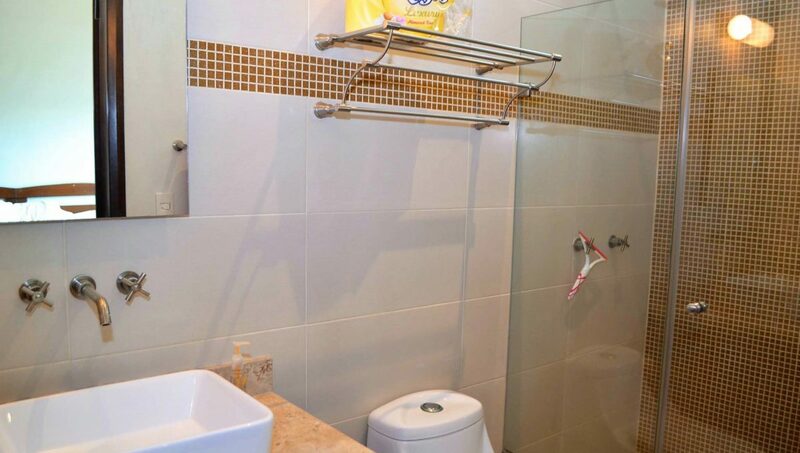 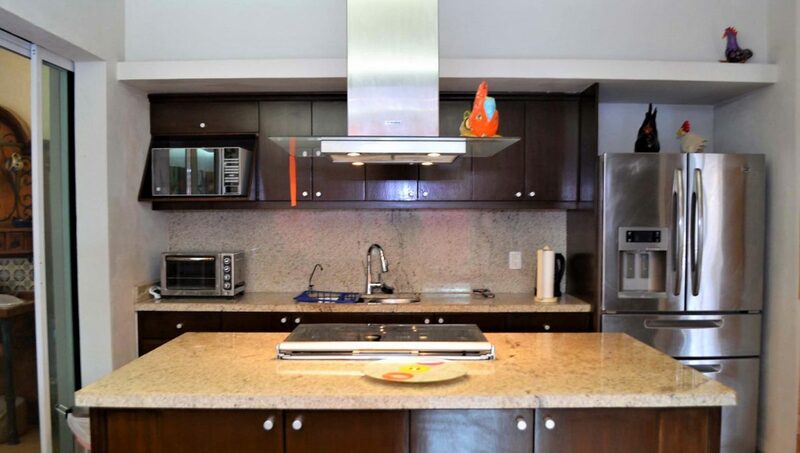 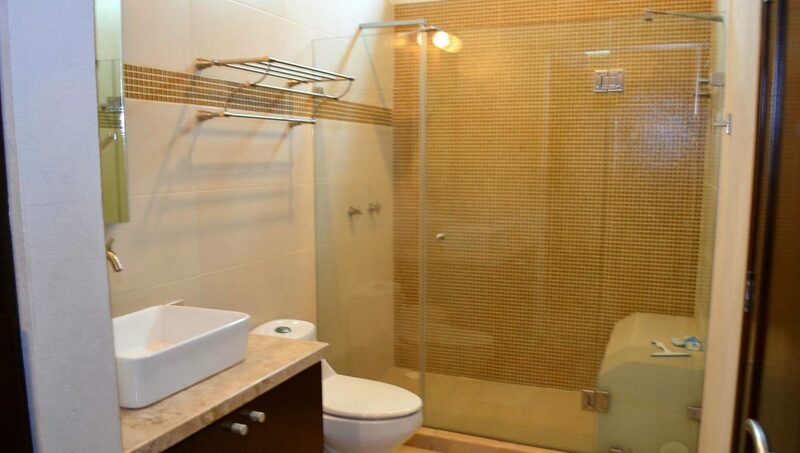 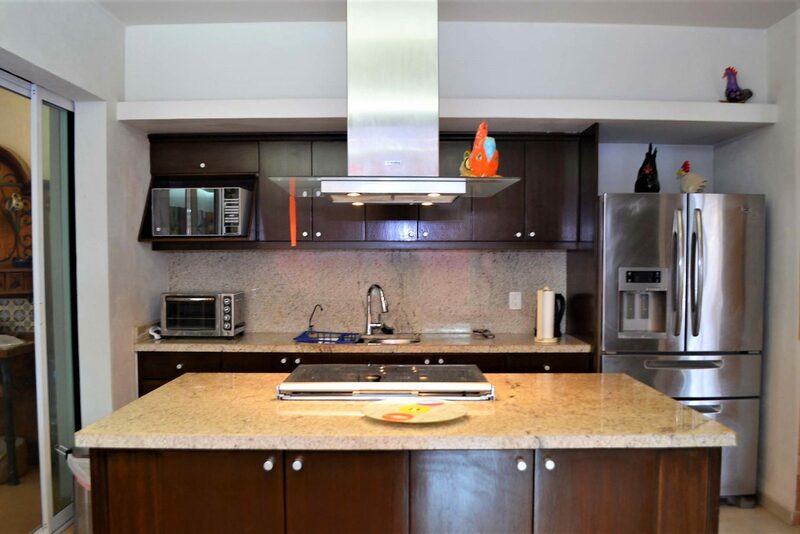 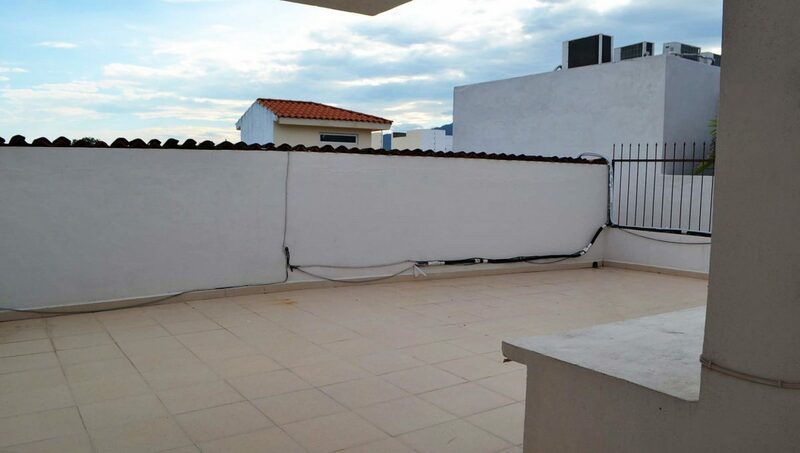 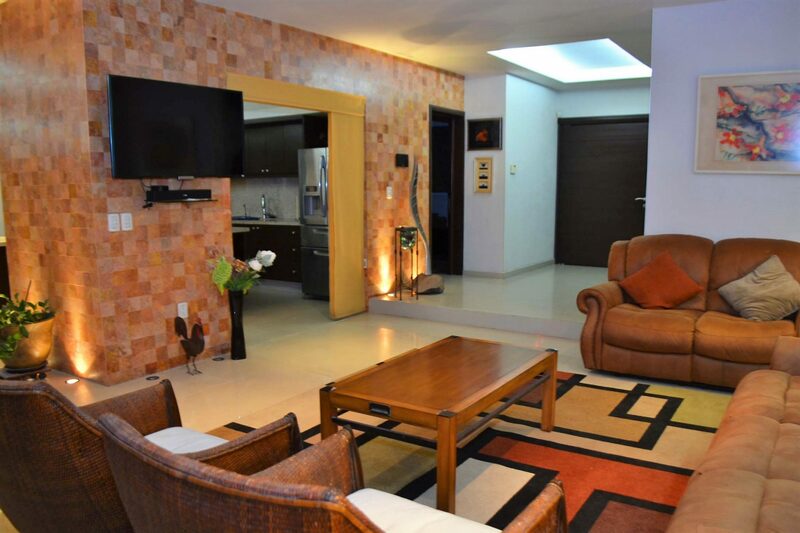 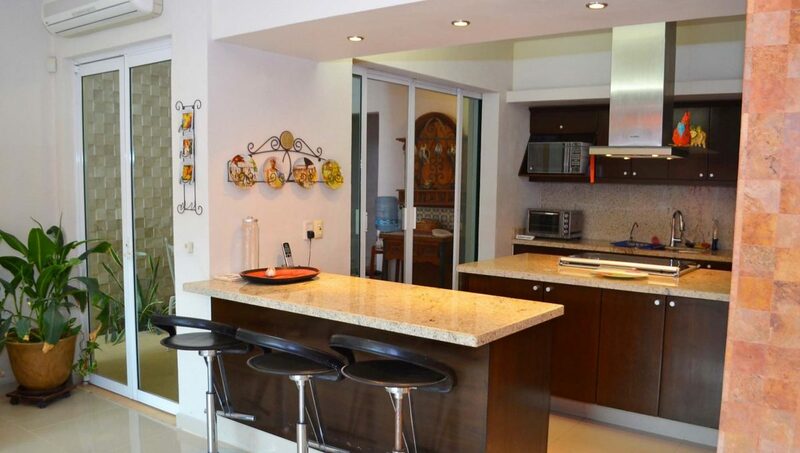 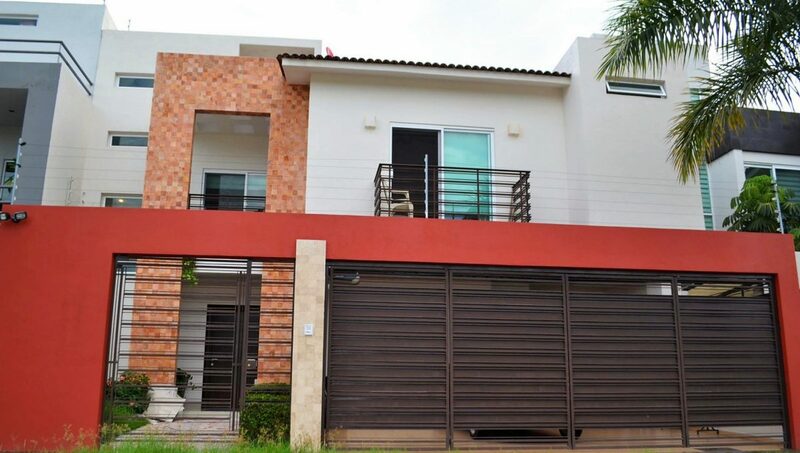 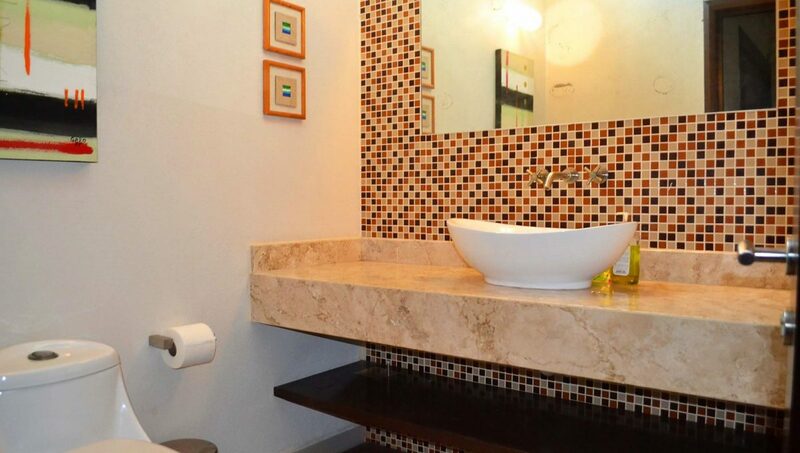 Very spacious and fully furnished three level home in Fluvial Vallarta. 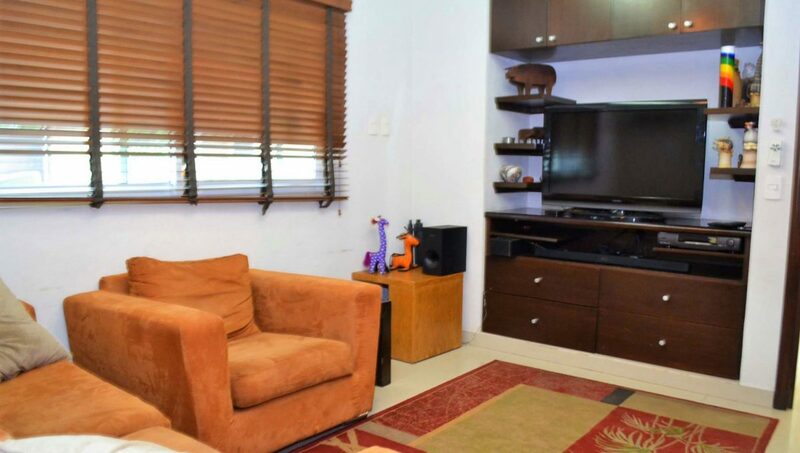 This house boasts on the first floor a two car driveway, gourmet kitchen with granite countertops, breakfast bar, guest bedroom or game room with full bathroom, a large living room with recliners half bathroom and backyard with private pool. 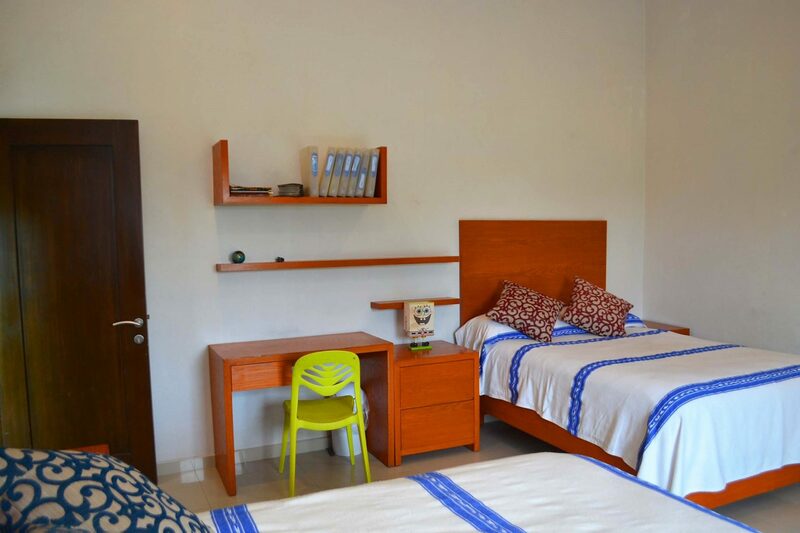 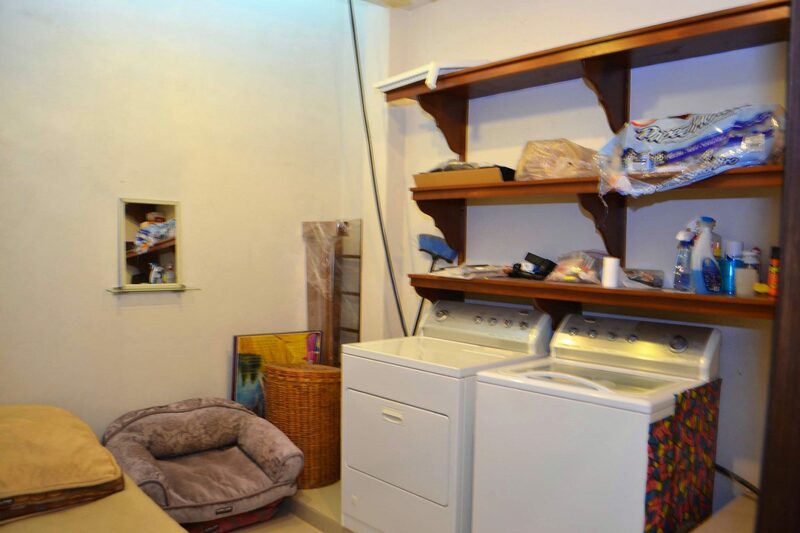 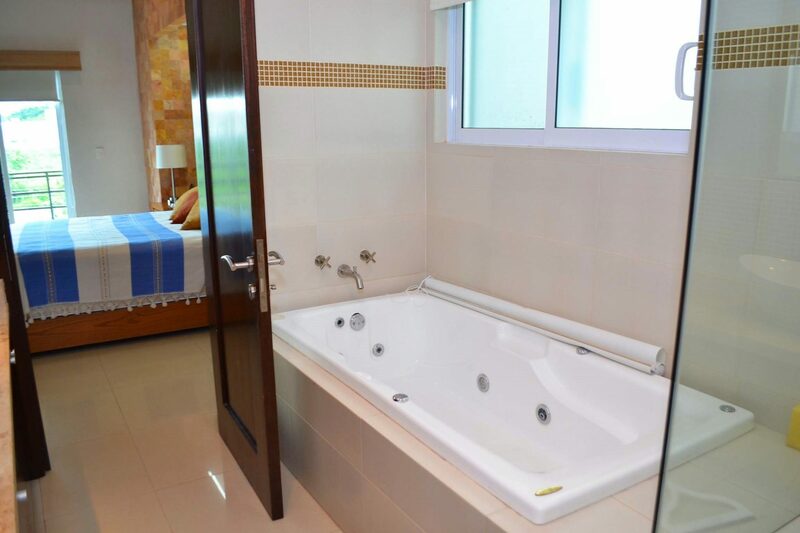 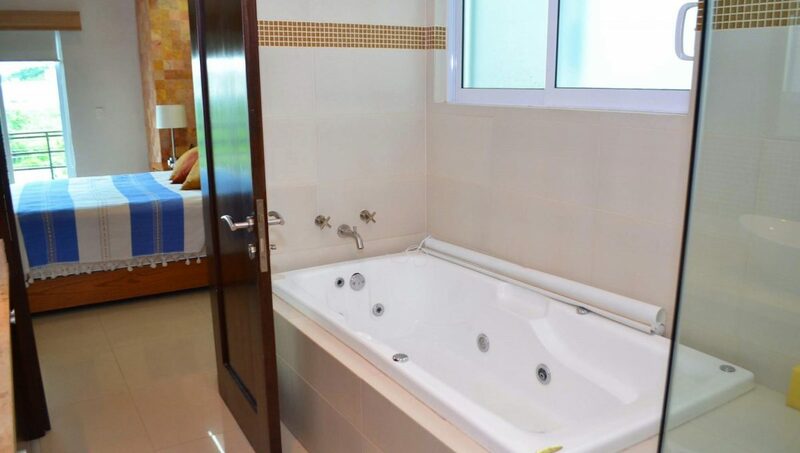 On the second floor you have an office area, laundry room, two large bedroom and a small balcony, and the the third bedroom is a large master bedroom with a a bath tub, shower and walk in closet. 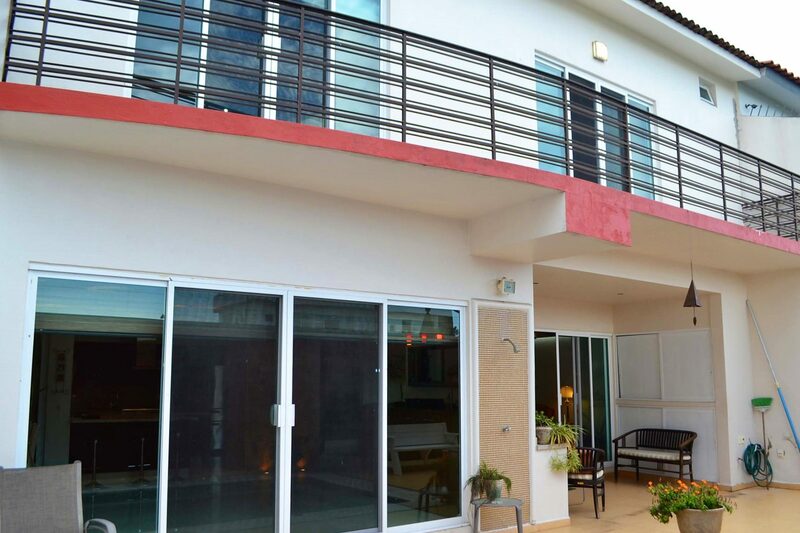 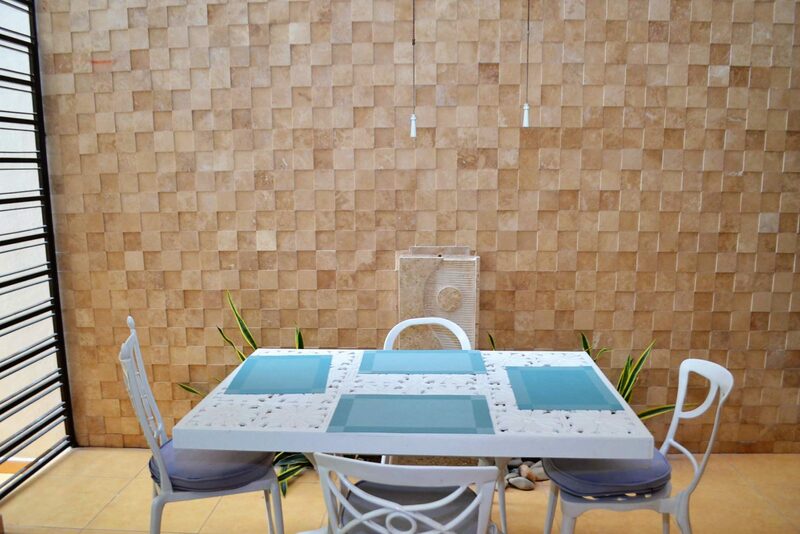 The third floor is rooftop terrace with lovely view of the mountain range. 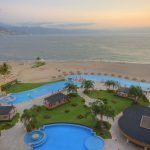 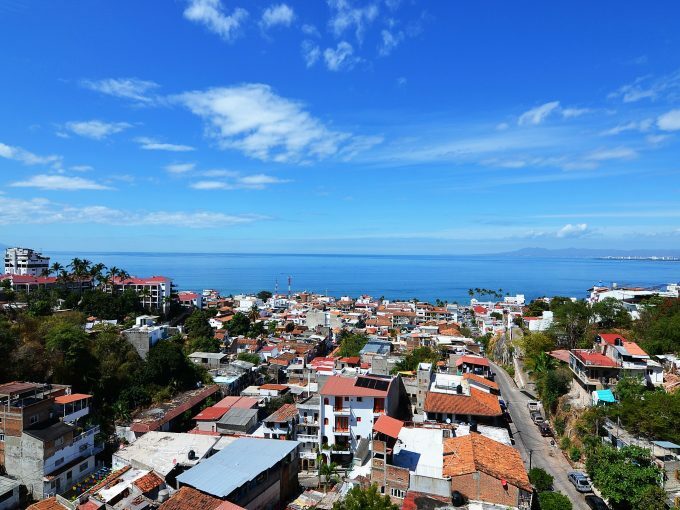 Fluvial Vallarta Residential is a master planned community in the middle of Puerto Vallarta with easy access to; beaches, hospitals, malls, restaurants, gyms, Costco and some of the best schools in the city. 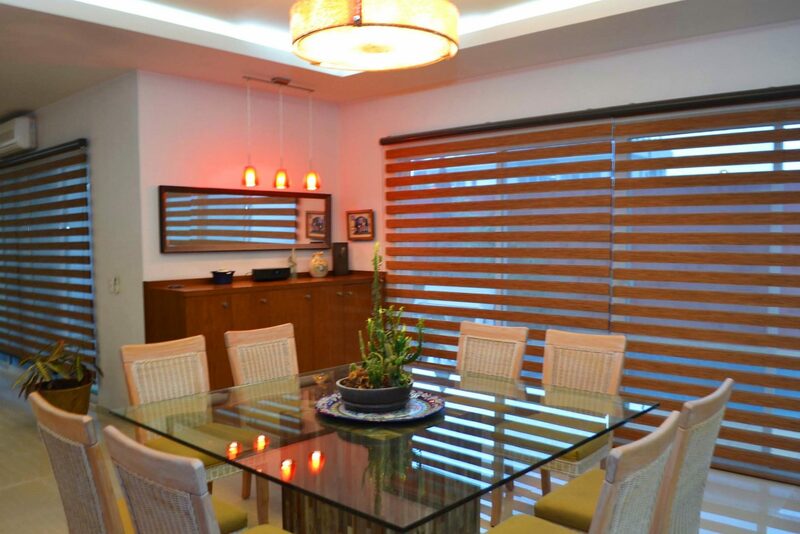 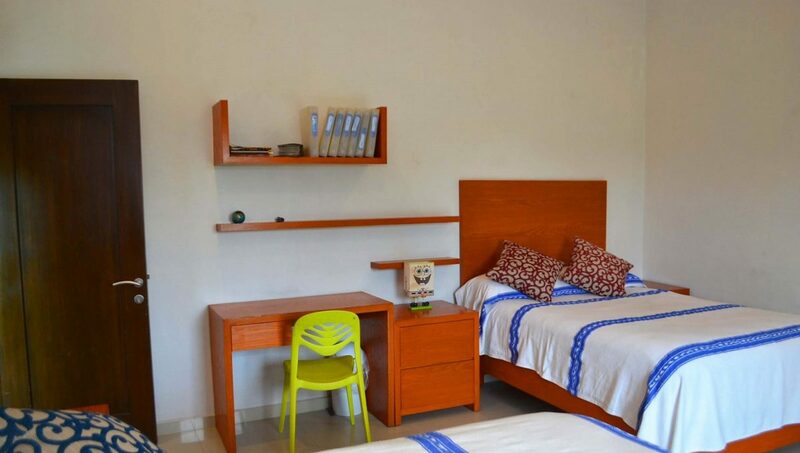 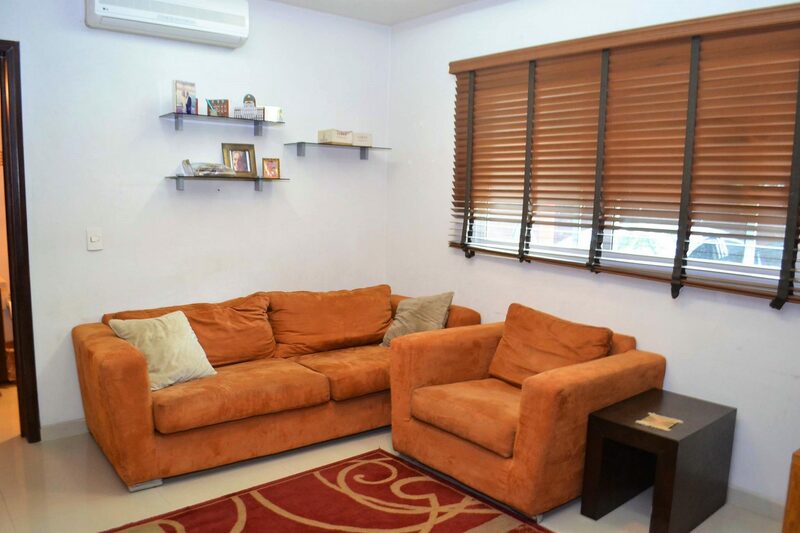 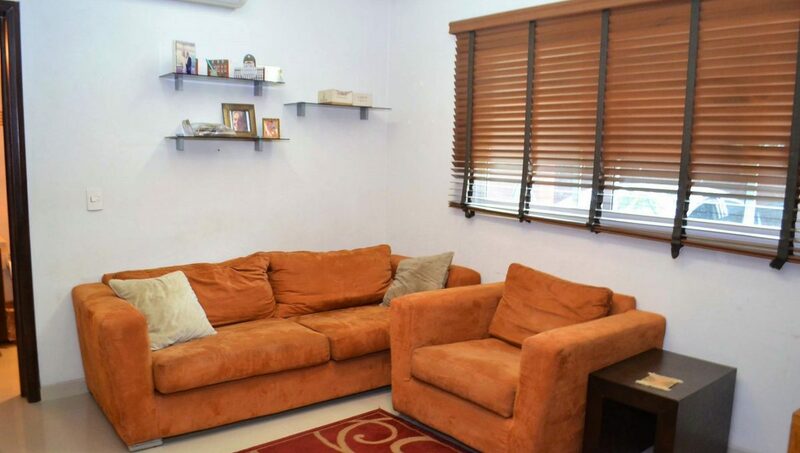 Just a 10 minute drive to Old Town and 10 minutes to the international airport.